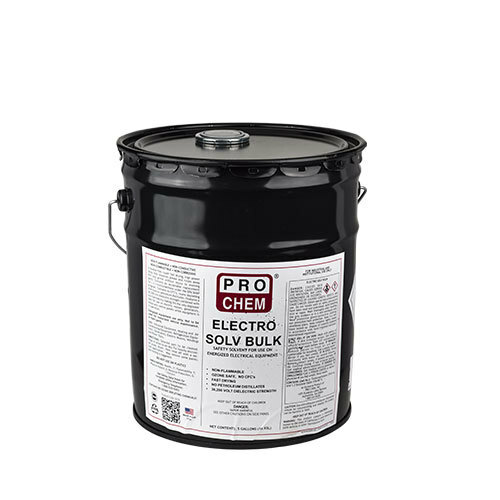 Electro Solv Bulk | Pro Chem, Inc.
ELECTRO SOLV BULK is a concentrated solvent/degreaser, which cleans motors, generators, starters and other motorized equipment, even while in operation, due to its nonflammability and high dielectric strength. It dries virtually residue free in minutes and needs no rinsing. 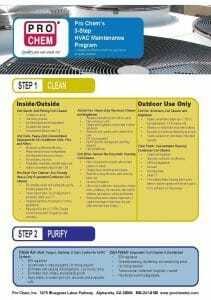 Contains an acceptable replacement for 1,1,1-Trichloroethane under the EPA SNAP program. This high power spray dissolves grease and rinses away dirt and grime easily. Saturate part to be cleaned. Wipe or allow to air dry. For heavily encrusted areas, brush, then rinse off with a second application. May remove some paints. Pretesting is suggested. Note: Energized equipment use only. Not to be used for motorized vehicle maintenance, or their parts. Caution: Do not allow prolonged contact with aluminum, plexiglass, polystyrene, and polycarbonates. Use with care on insulation, rubber, and most plastics and paints.